Lets understand this term with an example.You want to invest in share market (equity).You can make money if you can predict growth of equity.Everyday equity market opens at certain mark and closes at certain mark.In between the period fluctuations in value occur.This occurs everyday.So if you write down daily opening and closing price of an equity for say five years you have considerable amount of data. Now this data is not meaningful unless you can make some decisions and derivations from it.What is maximum value of stock in this period?What is minimum value of stock in this period? What is the mean value? To answer questions like this you need to analyze the data and make conclusions.So data analysis is termed as process or tools used to analyze the data and come up with a trend and conclusion to help in decision making. Picalo is an open source software. It is used for Data Analysis,Statistical analysis,trend analysis using a nice simple graphic user interface.Picalo is based on Python.Python is one of the preferred programming languages for data analysis.Having its root in Python makes Picalo a strong tool for data analysis and fraud detection. Picalo is powerful and can handle large data volume.The amount of data which can be handled depends on your system memory.You can use power of Python to extend functionality.The tool itself gives you great number of functions to use. You can import data from excel sheets and also export data to excel sheets.I had once worked on a piece using Picalo.The learning curve was easy and it is fun to work with.This tutorial gives you insight into power of Picalo and its various features. Install the Python in default location(C://Python26 is default location) for ease. If you are advanced user you can install it wherever you like. Install the wxpython in default location. Change the directory to the Python installation directory using cd command. If the Python is installed in default location use the first command cd to change the directory to the default directory else use the cd command to change the directory to Python installation directory. The second command is common and issued after the first command cd. 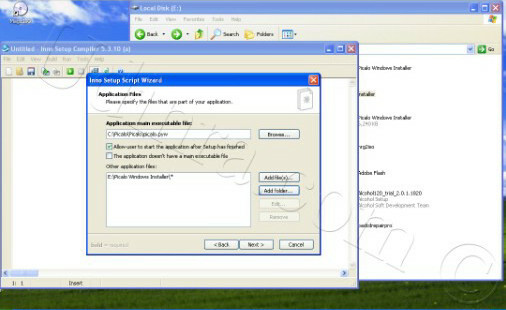 Picalo installation is same as any other windows application software. The real power of Picalo lies in detectlets. Detectlets are used to expand the functionality of Picalo.Suppose you want to use Picalo for analyzing data present in an Excel sheet and after performing specific operations on the data you want to generate result excel sheet.This functionality is not directly available in Picalo but Picalo can be expanded to perform this task using Detectlet. There the user will see an entry of the sub directory e.g in this case Example_Blog. In the Example_Blog sub menu the user will see the analysis_blog entry. Click on the entry. This will install the module in Picalo and is ready to use. READ How to measure site performance in different Google property? Mention the fully qualified path name of Excel file containing the data to analyze. Mention the Sheet Name of the Excel File containing the Data to analyze. The input screen section starts with wizard=”’ <wizard> and each user interface screen is defined within <page></page> tags.In above example there is one input screen with two text boxes defined by the <parameter /> tag. The type defines data-type of value inserted in the text boxes and variable is variable name used to hold the values. After this rest of function can be coded in same way as Python function. 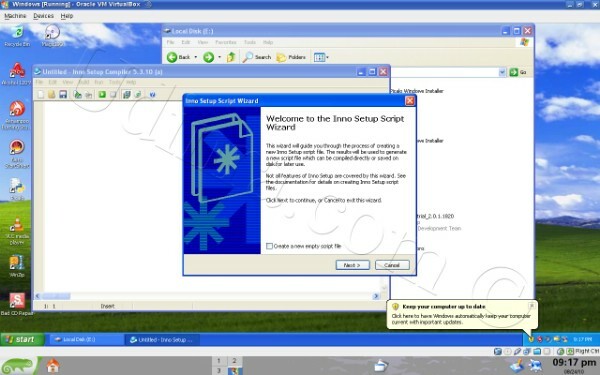 Download and install the Inno Setup software from http://www.jrsoftware.org/isdl.php. 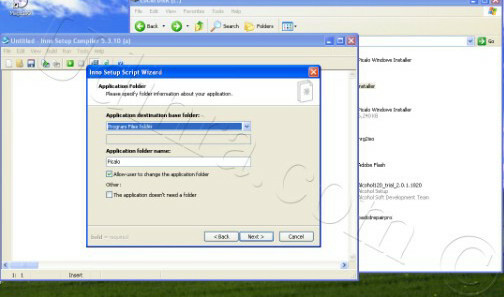 Click on the desktop icon to launch the application.The Inno setup start up screen is shown to the user. The last screen Application icons screen is displayed.Choose the options suiting the applications and click on NEXT. Consider sharing the post in case you found this helpful. Where can i download Picalo from? The last time I visited the site..there was windows installer available..it installs all the necessary packages..Are you using the installer? I am trying to use Picalo on Windows but up to now I still have some problems. Is there a forum for Picalo? Thanks for your grateful informations, am working in Ecommerce development company india, so it will be helpful info for my works.